On December 3, McDonald’s is putting a unique spin on a classic internet icon – the Hamburger Menu – in honor of its inventor, Norm Cox. In the 1980s, Norm Cox changed the Internet forever by simplifying the dropdown menu on websites to create what is now known as the “Hamburger Menu.” As fellow burger lovers, McDonald’s is inviting fans to celebrate Norm’s Hamburger Menu on his birthday, December 3, through a creative activation that will make Internet history. To help with pulling off a birthday celebration for an Internet Icon, McDonald’s is partnering with Reddit, the Internet’s front page. For the hamburger themed party, McDonald’s is dressing up Reddit’s beloved mascot Snoo, posting unique content, and taking over Reddit.com’s ‘Hamburger Menu’. Snoo will become the Snooburglar and wear McDonald’s iconic Hamburglar costume. 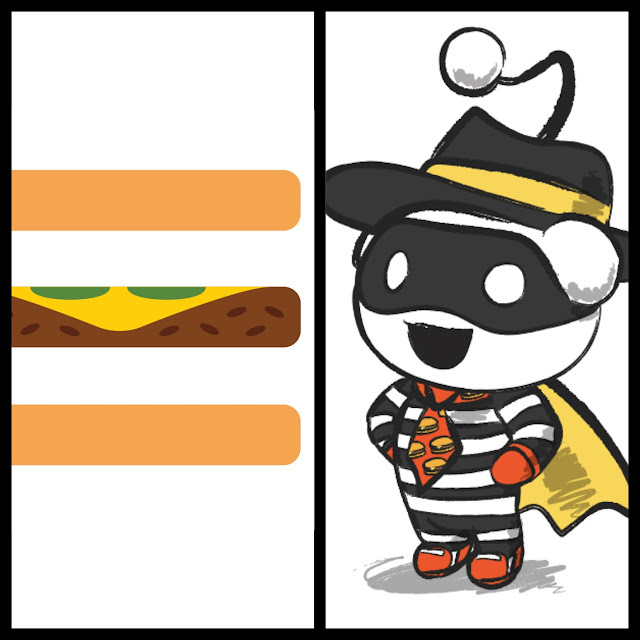 Snooburglar is the perfect way for McDonald’s to incorporate Hamburglar’s burger-loving legacy and makes them the third brand that Reddit has ever allowed to ‘decorate’ Snoo. On December 3, the adorable Snooburglar will show Redditors and burger fans alike how to get a hamburger through the Internet’s ‘Hamburger Menu’ for the first time ever. Content abouthow McDonald’s is changing up the hamburger menu in honor of Norm’s birthday will appear on Reddit and McDonald’s social media channels. Watch the launch video here. Also, Redditors can ask the one and only Norm Cox questions in an “Ask Me Anything” session hosted by McDonald’s at 2 p.m./CT on December 3. Also, McDonald’s is celebrating Norm by making even more internet history and letting you get a burger through a Hamburger Menu. For one day only, fans can redeem deals on the McDonald’s app by clicking on the Hamburger Menu featured on the mobile versions of Reddit.com and McDonalds.com. Lastly, McDonald’s is updating the ‘Hamburger Menu’ icon to resemble a delicious McDonald’s burger.